The Quintet have just finished recording their debut album of all original material written by Alex, leading UK trumpeter Steve Fishwick and pianist John Turville. Incorporating influence from the music of Joe Henderson/ Kenny Dorham, John Coltrane and Lennie Tristano/ Warne Marsh; the band has, over the last 5 years of playing together, developed its own brand of sophisticated contemporary jazz that draws on the strength of both leaders as accomplished players but also as very individual composers. 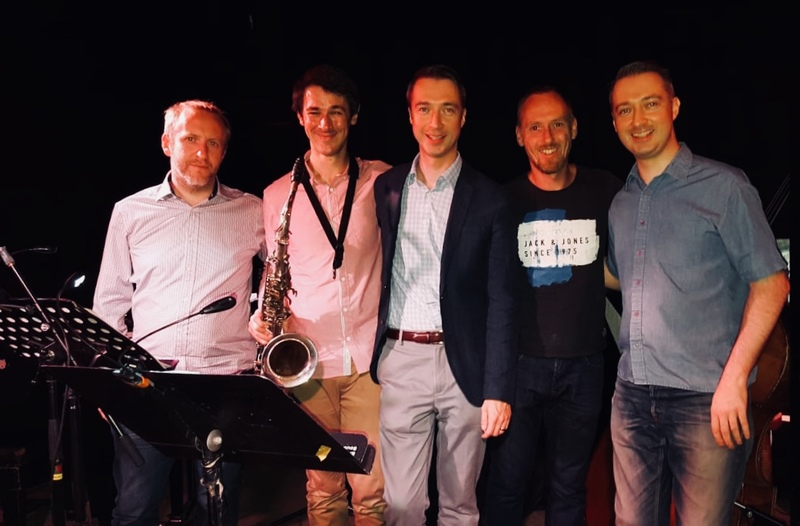 The rhythm section of John Turville (piano) Mick Coady (bass) and Matt Fishwick (drums) are a perfect complement to the frontline and complete a very exciting quintet! 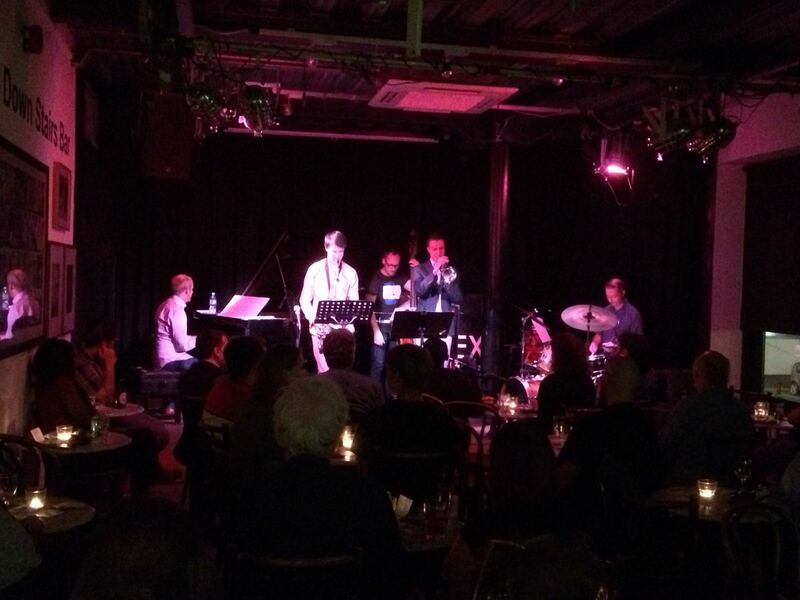 Following many successful club dates around the UK throughout 2018 at venues such as Ronnie Scotts (see extracts from a previous show here below), The Vortex and Swansea Jazzland the quintet will look to tour the UK through late 2019/ early 2020 aiming for an album release around spring 2020. This is a very exciting project and there is a fantastic synergy amongst all members of the band which makes for very entertaining, stylish and nuanced modern jazz that will appeal equally to jazz afficianados and more mainstream audiences.